APRIL FAVOURITES | in style of Emily. It's favourites time again! Here's a little review of everything I've been especially loving throughout the month of April and as always you can watch the video linked below or just have a read of this post! I've had this foundation for a while now and I honestly think it is my all-time favourite because it never fails me. It's long-lasting, medium/build-able coverage, semi-matte finish and very natural looking. This brand is designed for people with a more yellow undertone to their skin (olive toned) like me, and so the colour match is perfect along with the formula. It doesn't make me shiny throughout the day and makes you look like you're not wearing foundation which is also a big bonus. I picked up this concealer on a whim last month because my usual concealer wasn't in stock. I didn't think much of it at first, but now I love it. The consistency is quite thick which means you don't need a lot of it under the eye area and you need to blend it quickly. 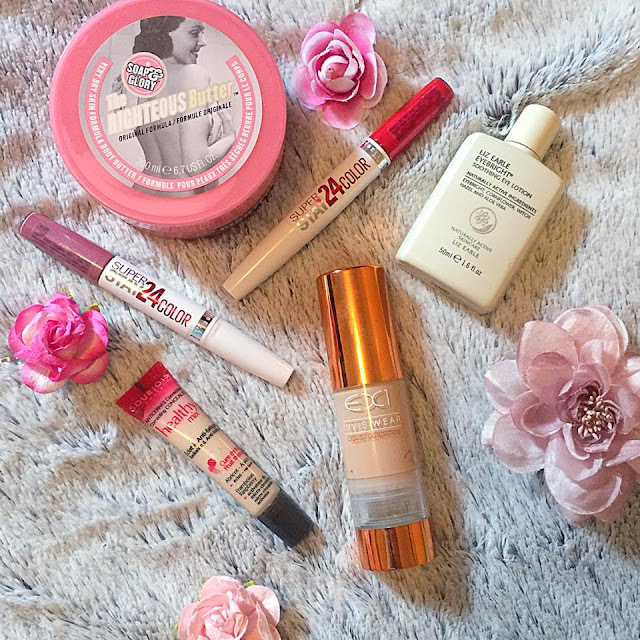 But its really great coverage, brightens under the eyes and conceals any dark circles. It also doesn't crease under the eyes when set with a light powder. For a drugstore liquid lipstick these are great. They don't feel sticky on the lips and dry to a matte very quickly. The balm on the other end is really hydrating and makes sure that the lipstick doesn't crack throughout the day making it long lasting, and the pigment is also amazing (especially on the red shade). I'm not sure if they would last 24 hours but they definitely last throughout the day. I even wore one of these to a wedding and was able to eat and drink comfortably! Firstly, this smells amazing (like all of their products do), and it leaves you with a gorgeous scent all day. It hydrates my skin really nicely leaving it feeling soft and smooth and sinks in quickly after applying. But obviously the main reason I love it so much is the smell! This has been my savour this month! I've been quite busy with different occasions like a wedding, a hen weekend and lots of uni work on top...but this has stopped me from looking so tired around the eyes! It's really soothing on the eye area and helps to calm down any redness/darkness you might have there, and it also helps you to appear more awake and feel more awake too! I've barely taken this off this month, even though sometimes its been way too cold to wear this on its own. It's a gorgeous dusky pink and has the two tone effect with the silk detailing on the bottom half. I like the fact that its not too bulky or puffy like some other bomber jackets are, and this one can be dressed up or down depending on the occasion. This is essentially a scrap book for all things cooking! 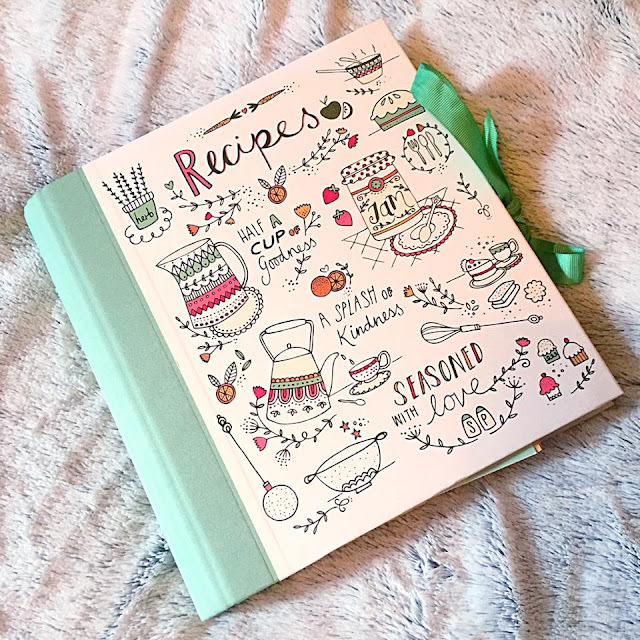 I use this to write down my own recipes or family recipes, and also keep recipe leaflets in here and scraps of paper with baking ideas on! It's a great way to keep all of your recipes together in one place and there are lots of pockets and labels to hold notes in and customise it to make it personal to you. What's been your favourite item this month?